Nevada is known for not having individual and corporate income taxes. As the US economy recovers, businesses and residents alike have been flocking to the Silver State for this reason. The $5 billion Tesla “gigafactory” is but one example. Reno and the surrounding areas are one of the fastest growing job creating regions in the country. This in turn is igniting our housing recovery. Governor Brian Sandoval is proposing $1.1 billion in new Nevada taxes but this week Assemblywoman Michele Fiore, R -Las Vegas, started pushing back and building a coalition to stop the governor’s tax increases. As you can hear, we are in a noisy room, after a luncheon, with a face to face interview so there is a bit of back ground chatter but if want to be a congressman, this is the episode to pay attention to, our guest today was born in Carson City in 1958 , served in the Army and in private practice as an attorney, ran for state assembly then state senate, won and now he is a congressman. 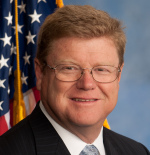 He had to run and have the skill sets needed to win and one those many traits he possesses is his close ties to those he represents in this district, so without further ado lets get right into the conversation with our representing from the 2nd District of Nevada, CONGRESSMAN MARK AMODEI. BOTTOM LINE UP FRONT: If you quit you lost!